Lately, I've been the happiest in myself I've been in a long time. A lot has changed since I last wrote. Although initially I wasn't sure if this was for the better, I now feel far more at peace and can say confidently that it is. A couple of months ago, I sent away bloods for testing and few weeks later found out that I have Lyme Disease. This new information wasn't exactly surprising but still managed to come as a bit of a shock. 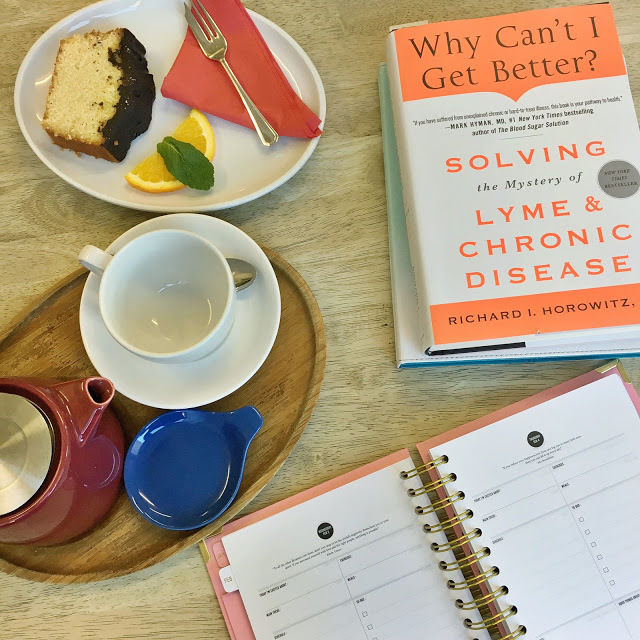 Having previously tested negatively, I was told that I could rule out Lyme. My medical history however has always indicated it as a possibility. Suspicious bites while travelling in Asia, the onset of a mystery illness on my return and the fact that I was living an outdoor lifestyle in a tick prone area, have always had alarm bells ringing faintly in the back of my mind. When I first found out, I had a bit of a wobble. I didn't know what I was dealing with, how I would get treatment or what irreversible damage the Lyme had already done. I also had a minor identity crisis of sorts. I'd accepted that I had M.E., made friends and advocated for others on the basis of what I believed was a shared diagnosis. I worried that I'd been fraudulent. I'd never wanted my illness to become a part of my identity, but there was no denying that it had. I didn't know how to talk about it and worried that I needed to amend all that I'd written and shared in the past. With time came clarity though and I began to rationalise. I decided I'd learn about Lyme a little at a time and seek help from others to find treatment. I reassured myself that everything I'd shared to date about being poorly had been authentic. The new information didn't change the symptoms I'd been experiencing for the last few years, it just happened that they had another cause. I didn't need or want to stop advocating for those with M.E.- I still knew exactly what it felt like and had lived through the difficulties that come with it. It therefore made sense that I'd continue to donate the profits from my jewellery sales to the M.E. Association. I hope that in the future, as well as improving outcomes, research prevents misdiagnoses. In the midst of my confusion, I thought a lot about what I wanted this online space to be for. I'm still not entirely clear on this but know that I'd like to continue to use it to document my attempts to find possibility and purpose. I feel committed now more than ever to fill my time with things and people I love, to consume what lifts and inspires me and to respect and fuel my body as best I can. I recently read Brene Brown's 'Daring Greatly' and have decided that I want to live very much 'wholeheartedly'. I'd love this space to reflect that. While I have a long way to go in terms of treatment and recovery, I finally feel like I can take proactive steps in the right direction. Running and growing my little business, BearHugs, brings me huge amounts of satisfaction, pride and fulfilment every day and I'm allowing myself to be unapologetically, unreservedly excited about what the future may bring.